5 tommer kevlar enhed og 60w forstærker giver fantastisk stor lyd i et kompakt og diskret kabinet. Klart definieret lydbillede som tåler sammenligning med væsentligt dyrere alternativer. 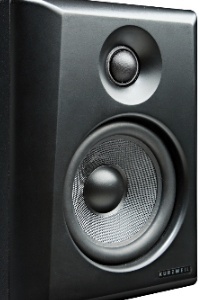 Compact, High Performance, Active 2-way Studio Monitors. 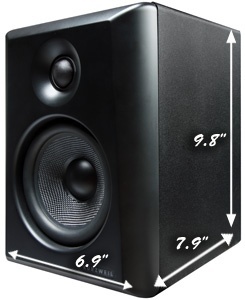 Self-powered, magnetically shielded studio monitors with a small footprint, ideal for near-field applications. 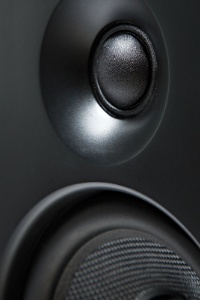 Two-way system employing a 1" silk-dome tweeter and 5" kevlar-woven low-frequency driver. The KS-50A features 60 watts of total power (30 W HF + 30W LF) and delivers 88dB SPL (+/- 3dB). 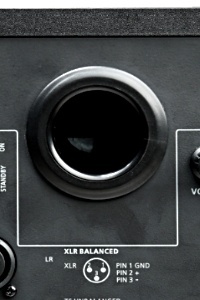 A rear panel bass reflex port helps extend the bass response down to 50 Hz. 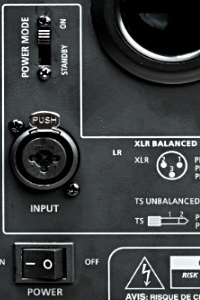 The convenient combo connector provides balanced XLR or unbalanced 1/4" TS input. Rimelig lydkort med to innganger og to utganger, 48volt phantommatning, omkoppler for instrument samt direkte monitoring som er valgbar mono/stereo/off. Hodetelefon utgang med separat volumkontroll.